click here for more ofo, I mean info! Anyone who knows me, knows only too well that I have a complete love for this charity and always try to do as much as I am able to for them. Photography, videography, 100 mile cycle rides whilst sitting on a razorblade (at least that is what it feels like after 20 miles!) and anything they need really. 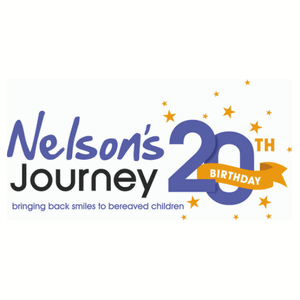 Nelson’s Journey helps bereaved children to make sense of what has happened when a loved one passes away. They offer support but also many opportunities for those children to meet other children who have also experienced a bereavement. I went to one of the activity weekends to capture one of the days and I have never been so moved by the pure bravery of each of those children, opening up and telling their ‘story’ of events. Lots of tears but amazingly, because the NJ support workers and other children help them through this – the day is also filled with the most amazing smiles! The slideshow above is just a few (there are loads) of the photos I have captured for them to use in their marketing to raise awareness of what they do and that help is always there should you need it. This year, again, I will endeavor to do 2 x 100 mile charity cycle rides and I am also a part of the NJTwenty20 campaign where 20 local businesses commit to raising £1000 each throughout 2018 in line with their 20th birthday. If you are able to sponsor me in any way you would like, then please get in touch or just click the link below to take you to the main sponsor page. Thank you for taking the time to learn more about Nelson’s Journey and I look forward to seeing you at an event soon.